Our grow Tea NI project continues, as we predicted it’s moving at a reasonably slow pace but we always knew we were in this for the long run. 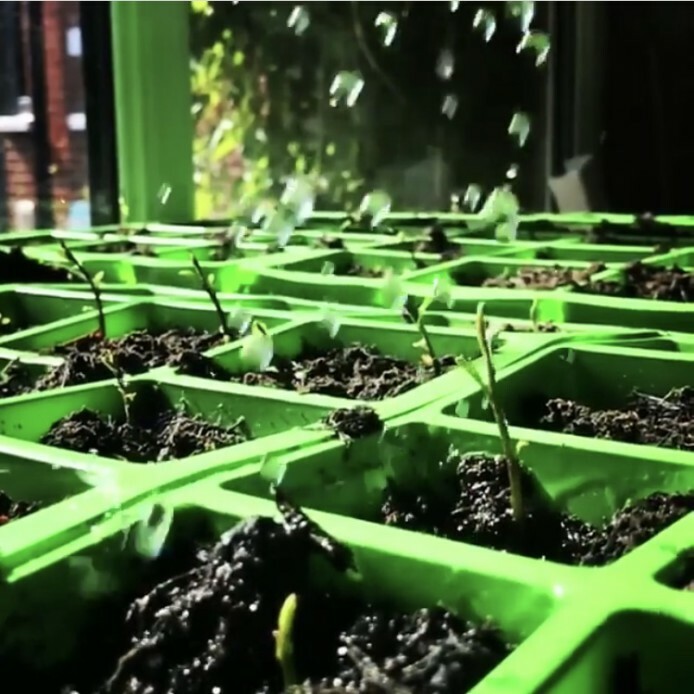 It’s such an exciting process to watch and learn how our little seedlings are growing from strength to strength; we’ll be posting a full update here on our blog in the next few weeks, so keep an eye on that! The video shows Oscar talking about the Northern Irish Tea Project and our progress so far. We have been working to grow tea in NI this for the last few years and have documented the journey throughout. The tea seedlings started out in Greenmount Agricultural college where our agricultural expert Theresa leads a team to help us look after the project. Initially the tea cuttings arrived from Tanzania, they were potted and have been brought on to well-developed young plants under a poly tunnel until they are strong enough to be planted. Throughout the process we have relied on this expert advice to give us the best shot at success. The seedlings have now made their way to their new home - Portaferry a large plot land was identified as the location for the tea plants. Did you know Portaferry has its own micro-climate? On the shores of Strangford Lough, this is a virtually frost free area, which is just what our tea needs if they are to survive through our Winters! The plot is on a slope which makes it perfect for drainage and is south facing so it gets the best of the sun. We had the soil tested a while back and this was also compatible for good growing conditions for the Camellia Sinensis – Tea bush. All good to go so it seemed like a sign! The Suki Tea PolyTunnel has not been erected and our tea plants are on the move - we are waiting for the new images and footage of the Northern Irish Tea plants in their new home....so keep an eye for that update coming next week!! History in the making or a bonkers idea?